The Student Counseling Center supports a campus culture of resilience, equipping students to grow and thrive emotionally as they are being prepared to become culturally intelligent individuals going out in diverse careers, engaging wholeheartedly in God’s work of renewal in the world. In the event of an emergency, call 911, or contact Campus Security, 616-881-2803, at any time, day or night. If the situation warrants, Campus Security will communicate with on-call Student Affairs staff who will assist you and/or consult with a Student Counseling Center counselor. If you are experiencing a mental health crisis, you may stop by or call the Student Counseling Center (c. 616-228-3089) during office hours and indicate that you are in crisis. 1-on-1, face to face counseling. Our counselors will work with each student to individualize their counseling experience in order to fit their needs. Our goal is to build relationships with the students in order to create a comforting and welcoming holistic environment that can facilitate growth. Through working together, we hope to help the student’s live a more fulfilling, values-consistent life. Navigating relationships can be very difficult. The Student Counseling Center is here to walk alongside you as you grow in your relationship; whether it is a brand new relationship, or you’ve been married for 20 years. The Student Counseling Center offers Pre-Marital Counseling to students that are engaged and planning on getting married. We require at least 6 sessions with more available if desired. Our goal is to help prepare you for your Christ-centered life together as husband and wife. Groups are a time when students can come together to support each other by discussing and learning about a specific topic. Typically there are two different groups offered each semester. One during the day, and one in the evening. The topic of the group is based on need and/or requests. Description: This group is about learning how to feel confident in your career choice and believing in your ability to be successful in the career you choose. Description: This group provides a space for freshman to talk about loneliness, balancing school life and home life, and stress management. Description: This group will provide you with techniques on how to manage your anxiety on a physical, emotional, and cognitive level. To sign up for a group, please email counseling@gracechristian.edu. The staff of the Student Counseling Center are available to give a presentation in a class, small group, church, etc. The Student Counseling Center also sponsors the “L-Series” which is a speaker series presented once a month during lunch. Staff at the Student Counseling Center are available to consult with Faculty, Staff, and parents. If you have a concern for a student, please do not hesitate to reach out to us. We cannot discuss specific information regarding a student due to confidentiality laws, but we would be happy to offer tools on how to approach the student of concern. Treatment and referral resources are also available. Approximately one out of five Grace students seeks support from the Student Counseling Center each year, including students from a wide range of demographics, as well as a wide variety of majors and interests across campus. There is no right or wrong reason to seek counseling. If you are feeling stuck in negative or distressing thinking then counseling may be helpful for you. Here are some other reasons why students seek counseling: Anxiety, Depression, Addiction, Sleep issues, Suicidal Thinking, Self-Harming Behaviors, Lack of Motivation, Relationship Issues, PTSD, Body Image, Anger Management, Eating Related Behaviors, Stress Management, Grief & Loss, really anything that may be causing you some level of distress. Students who are currently enrolled in classes are eligible for services through the Student Counseling Center at no cost. Appointments at the Student Counseling Center can be made by calling 616-261-8592, texting or calling 616-228-3089, sending an e-mail to iwilkinson@gracechristian.edu, or stopping by the Student Counseling Center. Our office is located in the Student Affairs Center, around the corner from the weight room. During the school year, appointments are available Monday 9a-3p and Tuesday through Thursday 9a-5p. Crisis care is available for safety-related mental health emergencies. Your first appointment you will go through the intake process. If you have not already filled out paperwork, you will be asked to fill out a packet of intake information with demographic information, reason for your visit, and mental health history. This will include an informed consent form to read and sign. A counselor will then review your information and meet with you for approximately 30-40 minutes. The goal of the screening is to assess your needs and customize services to best fit your personal goals. You and the counselor will review Student Counseling Center resources available to you, and will decide together on the next steps. ARE STUDENT COUNSELING CENTER SERVICES CONFIDENTIAL? Yes! The Student Counseling Center takes confidentiality very seriously, and no information will be exchanged with individuals or agencies outside of our center unless you provide us with explicit consent to do so. Your Student Counseling Center record is not a part of your academic record, and information shared within counseling is not reported to Student Affairs, your parents, or anyone else without your written consent. We recognize that a safe and confidential environment is crucial in order for you to feel comfortable sharing personal information. In rare circumstances, the confidentiality policy requires unauthorized disclosure of information. Such circumstances would include when the counselor believes the student’s life is in danger, when the safety of others is at risk, when there is suspicion of child or elder abuse, or when requested by subpoena or court order. If you have any questions or concerns about the confidentiality policy, please feel free to talk them over with your counselor. WILL MY COUNSELING BE BIBLICALLY BASED? Yes. The Student Counseling Center recognizes the Bible as the source for understanding how to respond well to the struggles of life. Yet sometimes people feel pressured by Christians to act, think and believe the “right way.” That is not our approach. We respect every person’s spiritual journey regardless of where it may be. We honor doubt and struggle and believe God does as well. HOW LONG IS COUNSELING GOING TO TAKE? We really like to make counseling seem more like just having a conversation, than giving a report of your life. We hope to make the process comfortable and welcoming. We are not here to fix you, but we are here to walk with you and support you through whatever life has thrown at you. With that said, we do acknowledge that forward motion is important and we will work with you to make sure your time here is productive and useful. Counseling sessions usually take 45-60 minutes. The first session may take a little longer. We are committed to beginning and ending the sessions promptly. The total number of sessions varies with each person. Ineke is a Limited Licensed Professional Counselor. Her areas of experience include working with life guidance, academic support, unexpected pregnancies, abuse and neglect, self-harm, suicidal prevention and intervention, grief and loss, depression, anxiety, adjustment disorders, trauma, and healthy relationship skills. 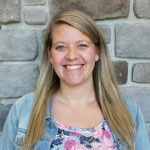 With her varied experiences, Ineke is able to work with each student to individualize their counseling experience in order to fit their needs. Ineke’s goal is to build relationships with the students in order to create a comforting and welcoming holistic environment that can facilitate growth. Through working together, she hopes to help the student’s live a more fulfilling, values-consistent life. Ineke looks forward to collaborating with you and she values your willingness to share your story and participate in the counseling process. Personally, Ineke is married with one daughter and a crazy dog. She enjoys being outdoors at the beach, camping, hiking, snowboarding, or just hanging out in the backyard. She also enjoys attending Grace sporting events. Amy is a Limited Licensed Professional Counselor. 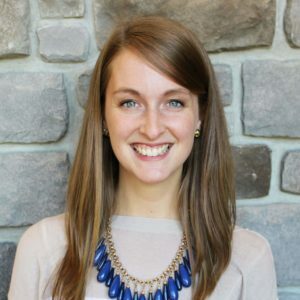 She has experience working with college students regarding career development, relationship skills, anxiety and stress management, adjustment, depression, and academic concerns. Amy has worked with students through individual and group counseling. She is excited about helping students identify their own goals and take responsibility for their own change. Through the counseling relationship, she desires students to gain new skills, feel empowered to grow, and have a place to tell their story. Amy is married and has worked at Grace in many capacities. In her free time, she enjoys hiking, reading, going to the beach, spending time with friends and family, and eating ice cream.